There are so many unforgettable children’s stores throughout California that we wanted to take the time to highlight some of our favorites. These stores were created, built and grown by local families who believe in the inspiration and joy that children bring to us. They strengthen our communities and bring something unique to the table. So, whether you’re traveling throughout California or live in one of these great cities, take the time to stop by and check these places out. You might just find what you’ve been looking for. 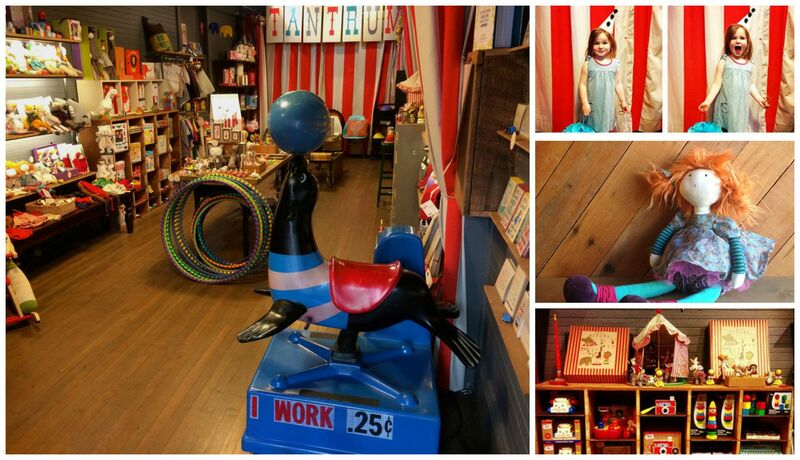 Tantrum in San Fransisco, CA is a whimsical toy store that will entertain children and adults alike. As Tantrum says, they are, “Part carnival, part storybook, part memory.” Stop by to find well-designed gifts and plenty of fun! Sweet William in Silverlake, CA carries everything from shoes and accessories to home decor and toys in their children’s clothing store. They carefully select each independent designer, focusing on their quality and environmentally conscious attitudes. Not to mention, most of their products are made with organic products. Not only will you feel good about shopping at Sweet William, but you’ll also love their designers and products. 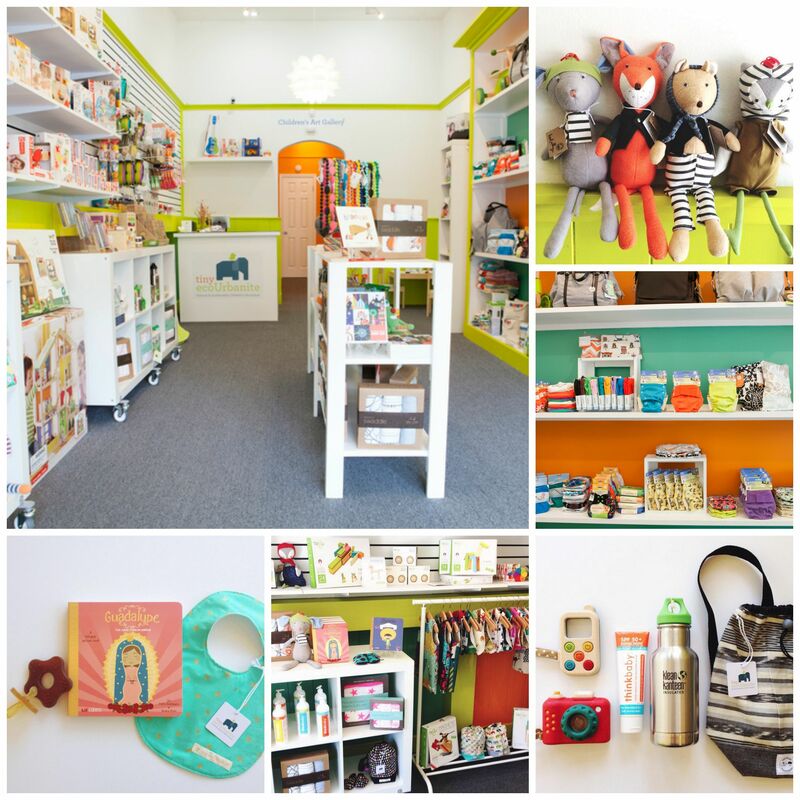 Lux Tots children’s boutique in Pasadena, CA is filled with adorable, unique items your little one will love. Most of their children’s clothing and toys are organic and green, making it the perfect place to find meaningful, eco-friendly gifts. The store is trendy, luxurious and filled with friendly faces. A shopping trip to Lux Tots will make you and your kiddo want to go back again and again. Tiny ecoUrbanite in Long Beach, CA is a natural and sustainable children’s boutique, focused on providing a welcoming place for families that are interested in living green. Beside carrying green and organic products tested by the owner herself, Tiny ecoUrbanite also holds classes, from cloth diapering to breastfeeding, to teach other families how to live green. Not only will you find the green products you’ve been looking for, you’ll also enjoy being a part of the community by shopping at Tiny ecoUrbanite. Lil Devils Boutique in Long Beach, CA is located right in the heart of 4th Street’s “Retro Row” and they live up to their location. Lil Devils prides themselves on finding retro/punk clothing, gifts and toys for children ages 0 to 6 that can’t be found in your typical mainstream store. If you and your little one like life on the edgy side, this is the store for you! 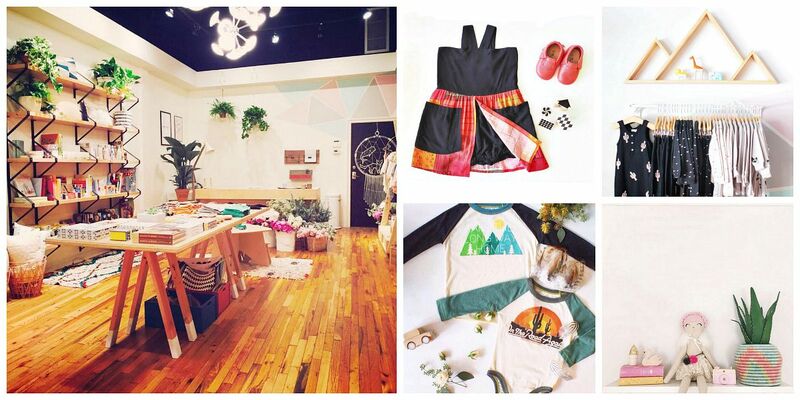 Born Free is a children’s boutique in Long Beach, CA for the eco and style conscious family. Expect to find an upscale selection of treasures, including snug organic fabrics, sustainably crafted toys, lifestyle essentials and show stopping birthday and shower gifts. Stop by their adorable boutique and you will surely find something you have to take home. Our very own Sweet Threads, in Long Beach, CA, sells new and vintage children’s clothing. We personally hand pick every piece in our store and love to support eco-friendly and local designers. With our passion for everything trendy, you will find the most unique and fashion-forward products at our beloved store. Stop by to find your little one that unforgettable piece you’ve been looking for. 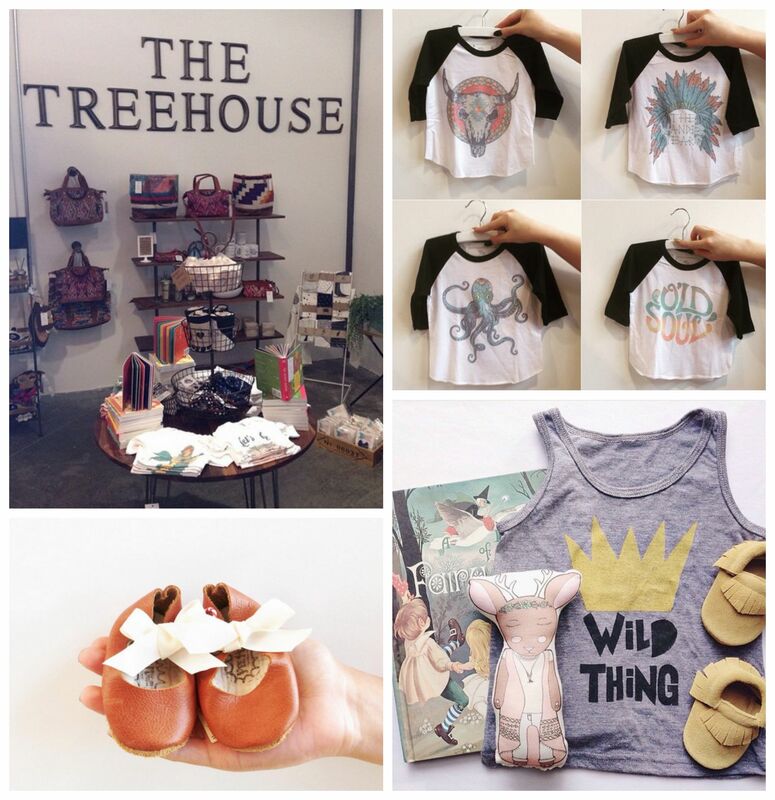 The Treehouse Shop in Tustin, CA carries unique clothing and accessories for children and adults. They focus on carrying USA made products and supporting local and domestic talent. Find quality, handmade items that your little ones will enjoy for years to come. Granola Babies in Costa Mesa, CA provides hand-selected, natural products as well as holistic resources for mother and child. The owner, Giselle, has created a community of people that strive to live sustainably. Find support and helpful classes at this one-step shop for green products and sustainable living. 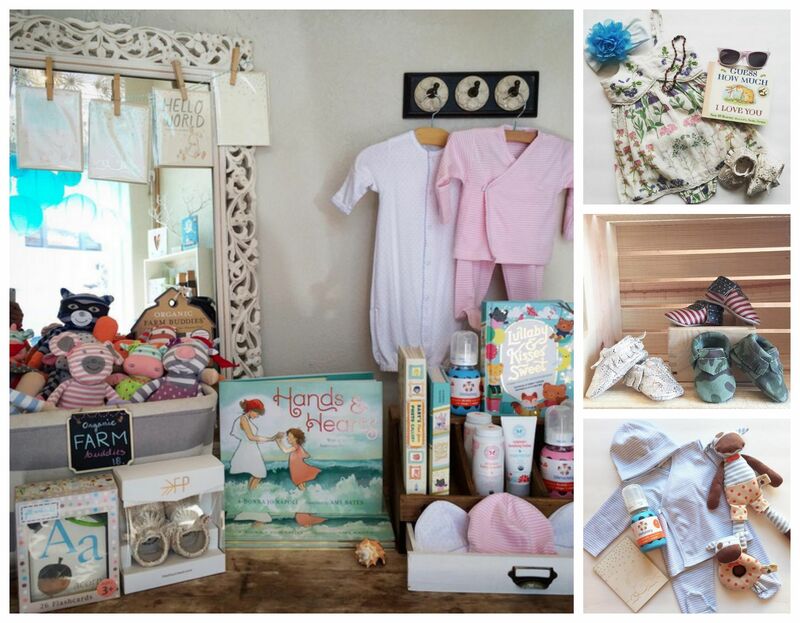 The Red Balloon in Newport Beach, CA carries apparel for baby, girls, boys and mom. It’s your one-stop shop for everything trendy for the whole family. Expect the best taste, up and coming designers and a fun atmosphere! Once you stop by The Red Balloon, we can guarantee you’ll want to go back again. 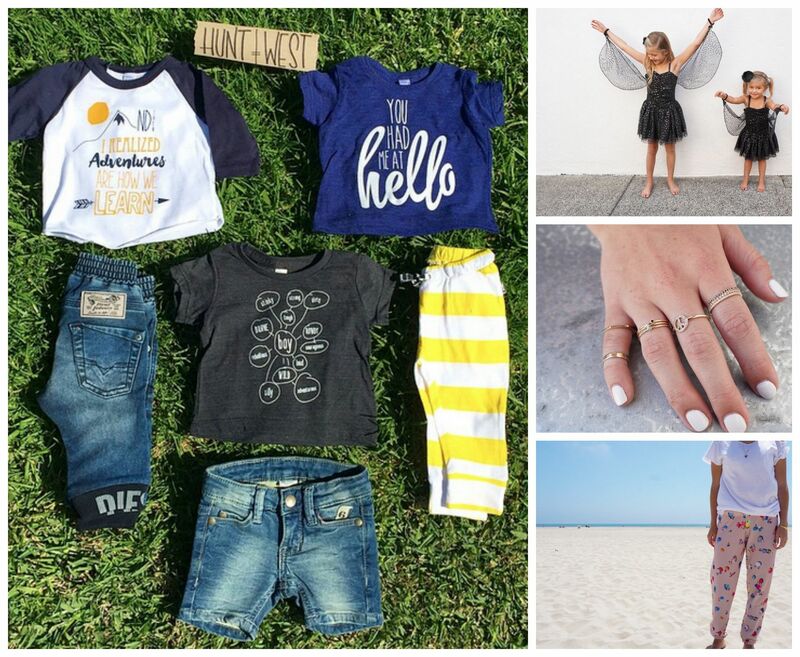 Ollie + Me in Carlsbad, CA provides high quality, on trend products and apparel for you and your kiddos. They also welcome mothers and families into the store for a place to relax, feed the baby or change a diaper. Their motto is “Not your average baby store” and you’ll feel the difference the second you step into the welcoming space they’ve created. What is your favorite children’s store in California? We love to find and connect with other stores that are strengthening our communities and supporting our families. Thanks for your feedback! < Little Mini’s Pop Up Event Recap + #sweetlittleminis Winner Announcement!